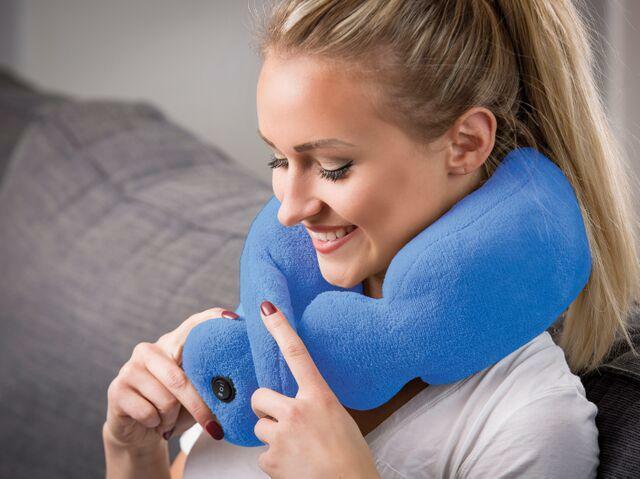 A very comfortable, soft plush, memory foam massager. Great for stress relief wherever you are. Simply wrap the massager around you and adjust the ends for instant relaxation. THIS ITEM IS CURRENTLY ON BACK ORDER AND WILL NOT BE AVAILABLE UNTIL END OF APRIL. Dimensions: L: 33" x W: 3.5"